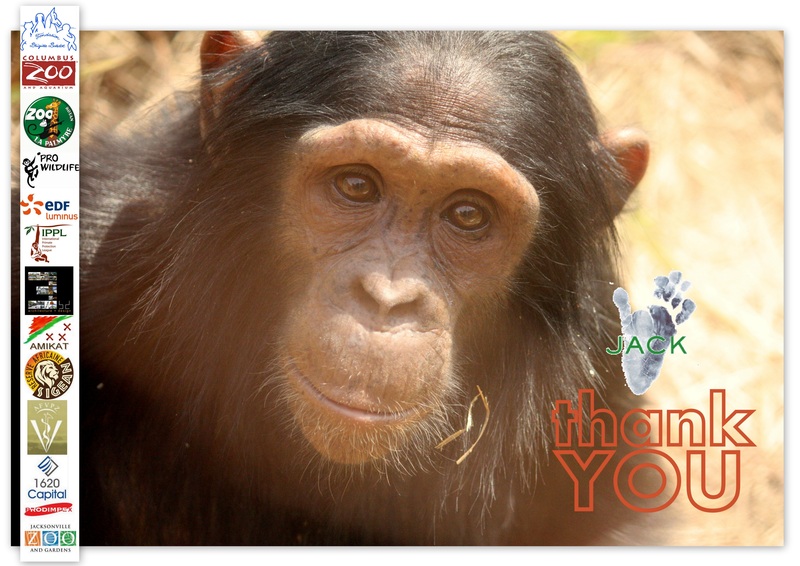 J.A.C.K Chimpanzee Sanctuary » Blog Archive » The Vet Clinic of J.A.C.K. is built! 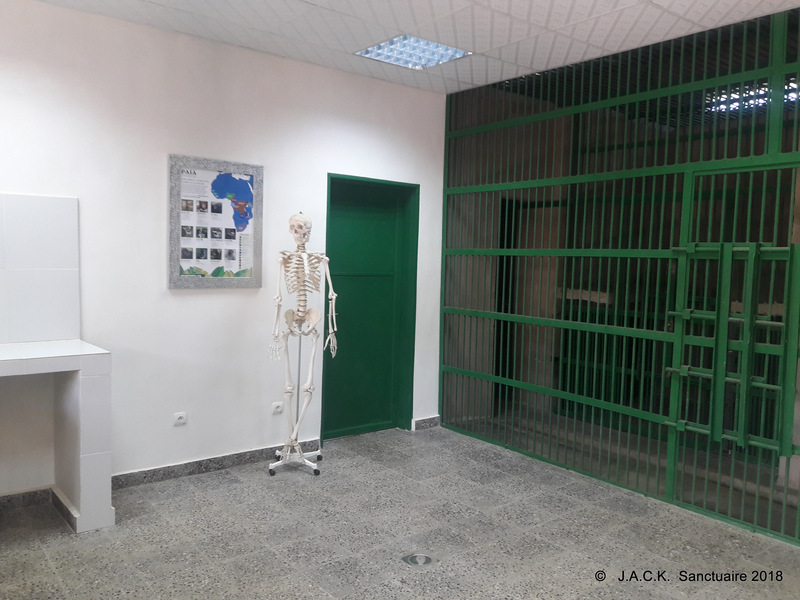 The Vet Clinic of J.A.C.K. is built! 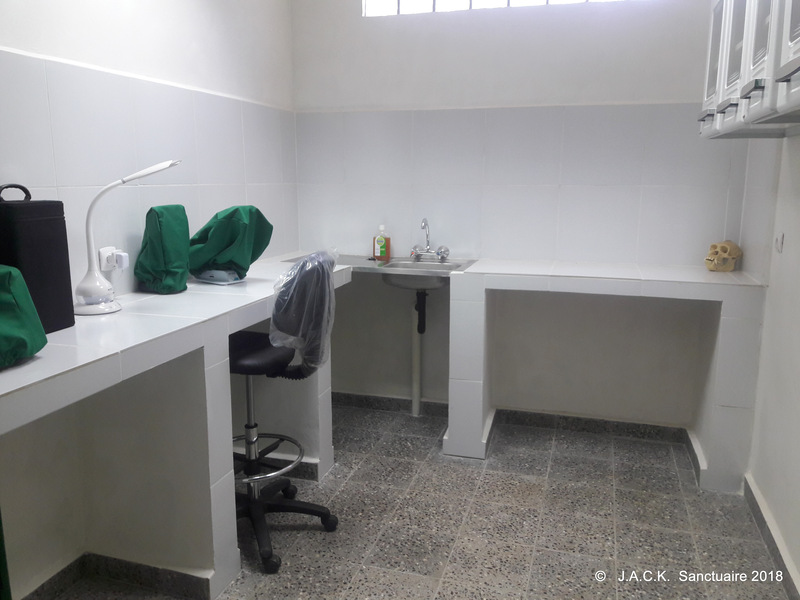 We are extremely happy to announce that the wonderful dream of building a Veterinary Clinic at J.A.C.K. has been now been finalised. This project has been in progress since 2017 and the goal has finally been reached. The result is amazing and we would love to share it with you! 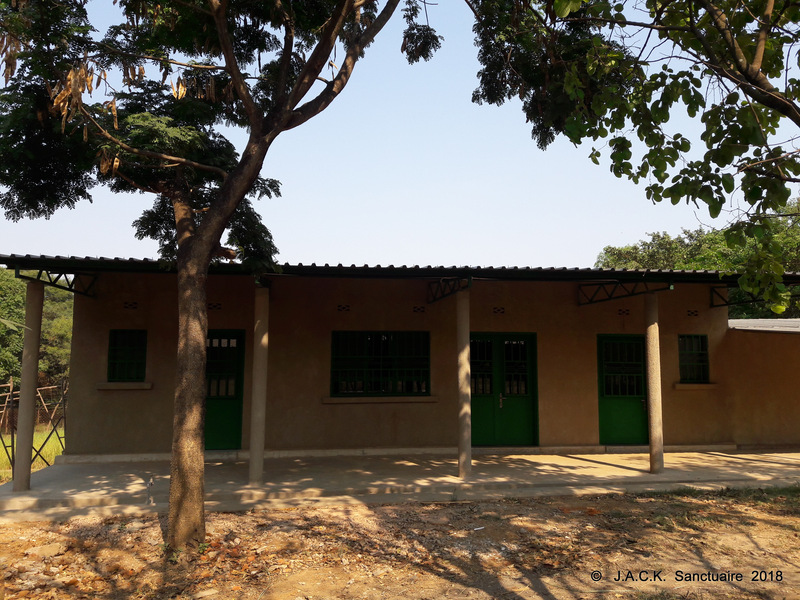 The building consists of different rooms: a small nursery, the theatre, the pharmacy, the laboratory, the necropsy room and the isolation quarters for the chimpanzees. 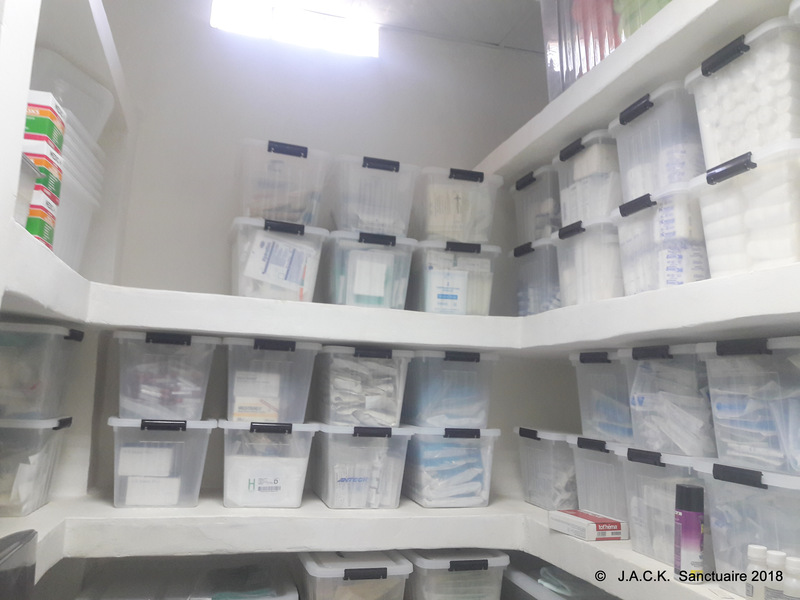 We are now in need of basic equipment such as a scanner, an X-ray machine, operation tables, an oxygen machine, a sterilizer and further items, to render the Clinic even more functional. In the name of all our hairy residents who will now take profit of this brand new building and be looked after in appropriate conditions, we would like to thank again from the deepest of our hearts all our wonderful sponsors and partners who made this dream come true! 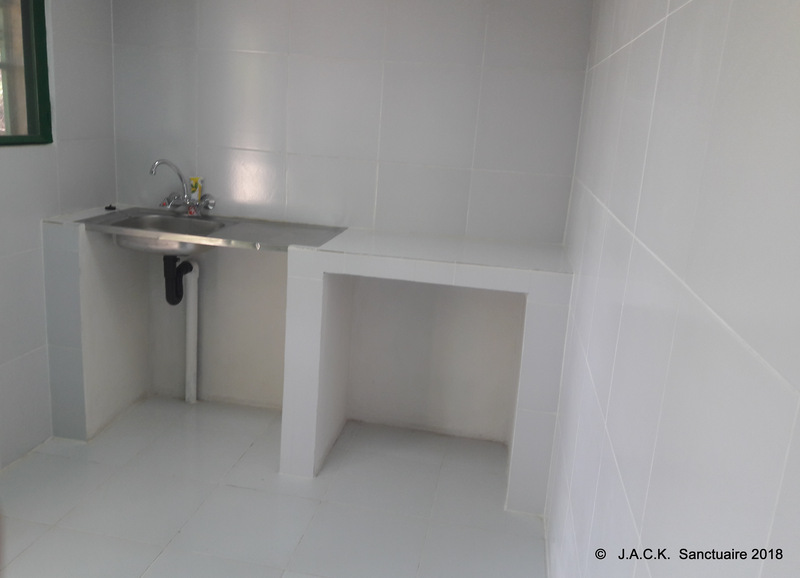 This project has been realised only through their trust and wish to provide THEM with the best care!